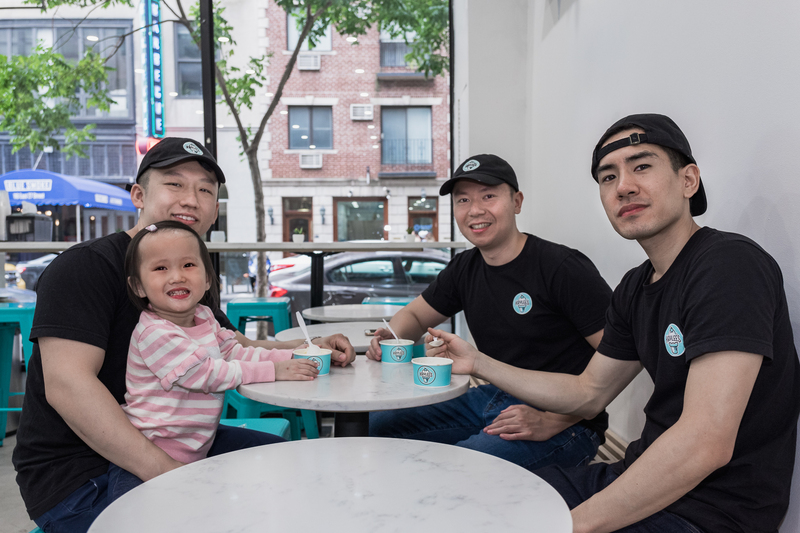 Our story starts off with the strong desire to bring a fresh, trendy, and unforgettable dessert to the greatest city in the world - New York. Despite experimenting with countless desserts from different countries around the world, they fell short of our expectations. We took a step back and realized what we’re truly passionate about— exceptional, high quality, old fashioned ice cream. Here at Kaylee's Creamery, we strive to provide our customers with the finest artisanal ice cream free of stabilizers, preservatives, artificial sweeteners, and food coloring. Our ice cream is made from four simple ingredients - fresh milk, cream, egg yolks, and pure cane sugar. The ingredients are carefully prepared in-house from scratch to freezer to cone. We take our craft seriously, but don't worry, we know how to have fun too! At Kaylee's Creamery, you’ll see some of your favorite classic flavors as well as some exciting, and unique flavors that we've created in our labs (but actually, kitchen) for your tasting pleasure. Now, you’re probably wondering, "Who's Kaylee? I love her ice cream. Can I meet her?” Well, of course! She will be making surprise appearances after long hours at daycare and her much needed nap time. The founders, Keene, Kenneth and Sam were friends throughout their college years but it wasn't until Kenneth’s daughter, Kaylee, came about that created a new bond and brought them closer together. Through the gender reveal, baby shower, and birthday parties, the three friends were able to spend more and more time together. Then one day, the idea of perfecting a classic dessert was born— welcome to Kaylee’s Creamery!